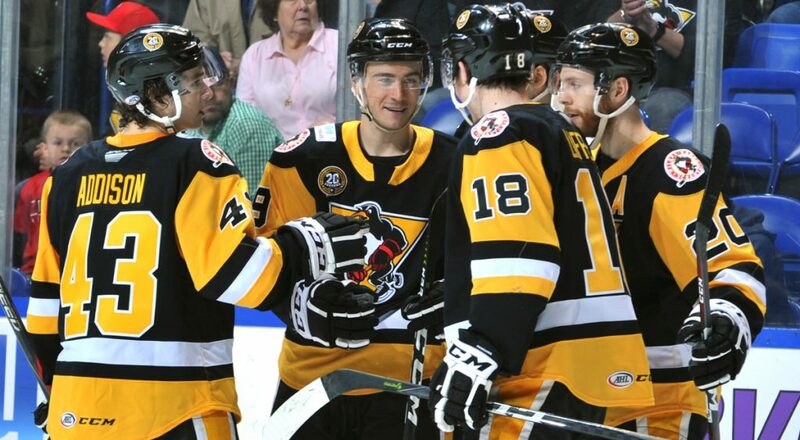 Wilkes-Barre/Scranton Penguins broadcaster Mike O’Brien is in Western Pennsylvania for Pittsburgh Penguins training camp, and checked in with some of his thoughts from Monday’s practice and tournament game. • During the first three days of practice at training camp, the Penguins have split into three teams for a round robin tournament. Team 3 was not able to make it to the championship game as they were on ice early today for practice. 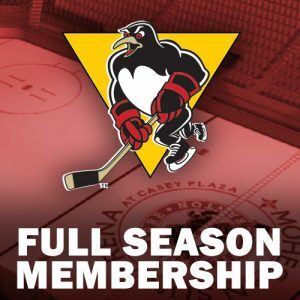 Their roster read like a Wilkes-Barre/Scranton Penguins Who’s Who from the 2014-15 season with the likes of Josh Archibald, Matt Murray, Carter Rowney, Bryan Rust, Conor Sheary and Scott Wilson out there. 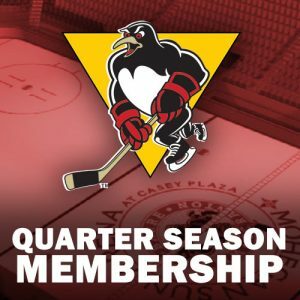 Seems like forever, but it is less than two years ago that those players were helping Wilkes-Barre/Scranton to one of its best starts in team history. 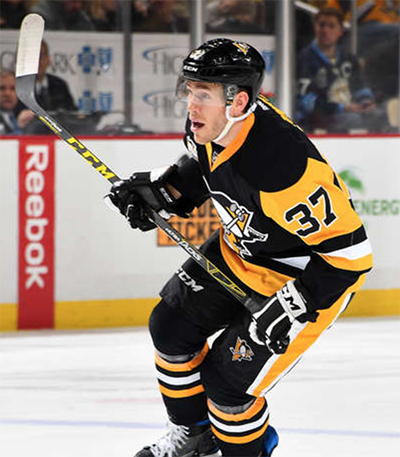 • It is always fun to see when players from Wilkes-Barre/Scranton graduate to full-time residence in Pittsburgh, and obviously it has happened plenty of times over the last 18 years. Still, it was special to see Carter Rowney skating during training camp today. Such a good guy off the ice and a hard worker on it. 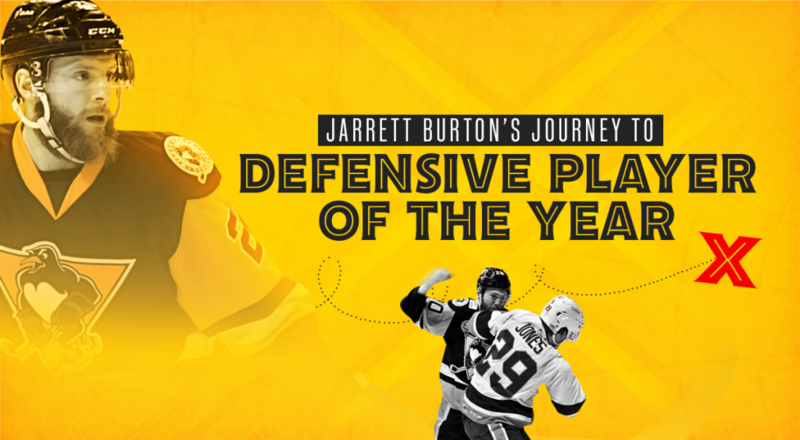 His trek from the ECHL to the NHL has been written about at length, as were his contributions during the Penguins’ most-recent Stanley Cup run. Though Rowney has been a participant at Pittsburgh’s training camp before, it’s different this year. His spot in the NHL this season is deserved and seemingly secure. It has been a long, hard road for Rowney and it’s not hard to appreciate him officially reaching this point of his journey. • Recent Wilkes-Barre/Scranton signee Christian Thomas was also a part of Team 3’s practice. A couple of times, he flashed the shot that helped him score 24 goals in Hershey last season. Thomas also showed good ability distributing the puck. His no-look pass to Garrett Wilson created a good chance in close and he set-up teams on a couple of 2-on-1s. Thomas was signed to bring another scoring element to the Penguins, but it appears he can be a playmaker as well. • Gage Quinney – The second-year pro was the MVP early on in the championship game, scoring both of Team’s 1 goals in the first half. His first came off a quick shot that banged off the post and into the net. Quinney’s second goal showed good patience, taking a pass from Ryan Reaves and waiting out Antti Niemi before tucking the puck past the skate of the downed goaltender. 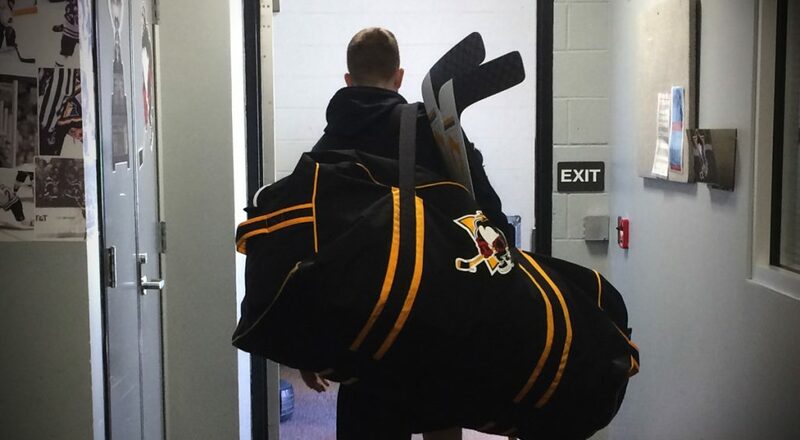 • Casey DeSmith – This isn’t DeSmith’s first training camp in Pittsburgh, but it is his first with an NHL contract. The 26-year-old looked the part on Monday at the UPMC Lemieux Sports Complex. Taking over net for the second half of the scrimmage and with the score knotted, 2-2, DeSmith pitched a shutout as Team 1 broke the tie and eventually skated to victory. The netminder was reading the play well and kept his form whenever there was chaos or traffic around his net. His prettiest save came with the glove, when he robbed Ian Cole on a bang-bang one-timer from the hashmarks. DeSmith’s most impressive stop came moments before, getting a shoulder a Phil Kessel’s mid-air rebound opportunity on the left post. • Dominik Simon – Wilkes-Barre/Scranton fans remember Simon’s deadly shot that netted 25 goals during his rookie season in 2015-16. At times last season, that skill took a backseat as he worked to develop other aspects of his game. 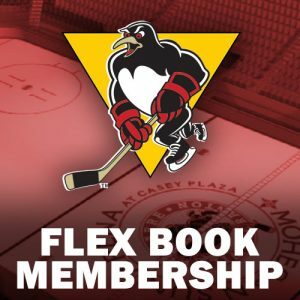 Skating on a line with Sidney Crosby and Jake Guentzel, Simon’s quick release and accuracy were on display once again. Stationed on the left circle, Simon took a centering feed from Crosby and sniped a wrist shot to the top of the net that turned out to be the game-winner. 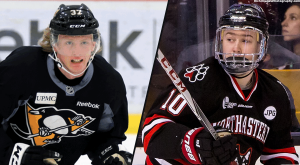 With the depth at wing in Pittsburgh, earning a spot with out of camp might prove difficult. But if Simon continues to light the lamp during the preseason, he could put himself in line to be one of the first call-ups for Jim Rutherford and Mike Sullivan.